Yuliana and I originally intended to dine at True Burger on Bohdana Khmelnytskogo. We arrived at the restaurant around 5 pm, just as they were locking the doors. Unfortunately we’d arrived on the day they were having their New Year staff party. The Mafia restaurant, just across the road, offered a nearby alternative. It’s one of a chain of Italian/Japanese restaurants going by the same name. 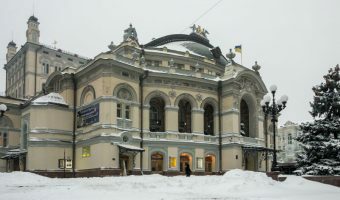 There are around a dozen branches in Kiev, plus outlets in cities such as Odessa, Kharkiv, and Lviv. The menu offers a unique mix and Italian and Japanese cuisine. Offerings include pasta, pizza, salads, sushi, and soup. Prices are extremely good value. You can buy a metre-long pizza for 239 UAH or 28 pieces of assorted sushi for 269 UAH. Cheap business lunches and breakfasts are also available. English translations were included on the menu. I was a little reluctant to dine here. Frankly, the last time I’d ordered sushi here it seemed the main ingredient was a substance bearing a remarkable similarity to washing-up liquid. I ordered peperoni pizza for 109 UAH while Yuliana went for pasta Bolognese at 79 UAH. For drinks we ordered orange fizz at 44 UAH and a banana milkshake at 53 UAH. The total bill came to a very reasonable 285 UAH. All the food was excellent. 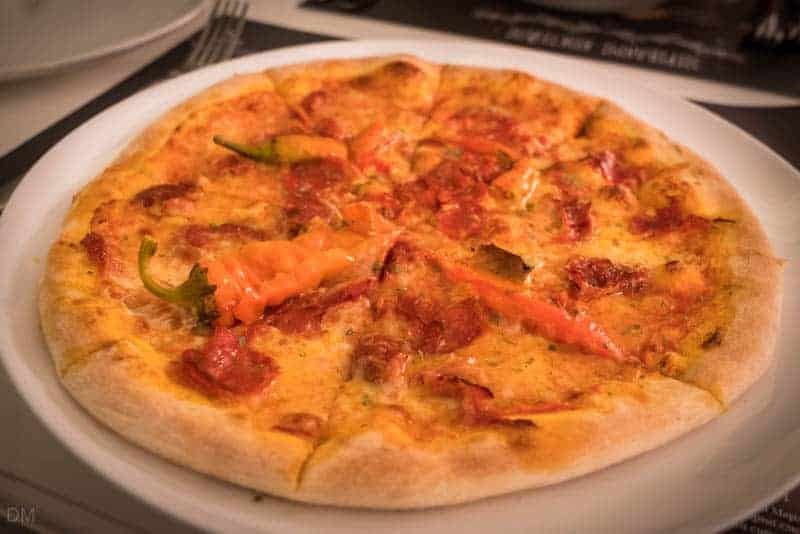 The pizza was the best I’d tasted in recent times in Kiev and the orange fizz extremely refreshing. The restaurant offers two levels. 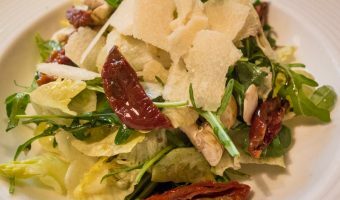 We dined on the upper floor and service was fast and friendly. Staff spoke reasonable English and had no problems understanding our order. 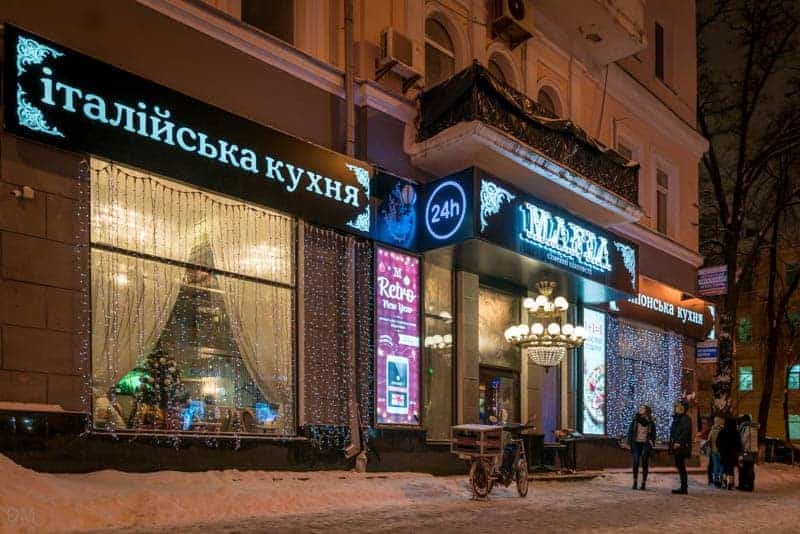 The restaurant is open 24 hours and is located on Bohdana Khmelnytskogo Street, just across the road from the National Opera of Ukraine. 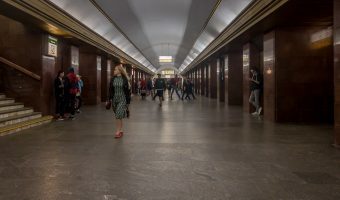 The closest Metro stations are Zoloti Vorota and Teatralna. Visit Kiev Ukraine ate at Mafia in January 2017. Unlike many other Kiev travel and restaurant websites we pay for our own food and drink. We do not inform staff we are reviewing their restaurant. Map showing location of Mafia – Bohdana Khmelnytskogo. Review of 7 Fridays, a restaurant near the National Opera of Ukraine. Metro station on the Red Line. National theatre offering a wide repertoire. Extremely good value.